Light of Day Australia has announced the first names for its 2017 Winter Gigs line-up. Heading to Ocean Grove for the 21 and 22 July shows will be Michael Spibey of the Badloves, Dreamboogie, Gallie and a return visit from Aussie legend Mike Rudd and Spectrum. This will be the fourth annual Light of Day Australia Winter Gigs which raise funds and awareness in the fight against Parkinson’s Disease. 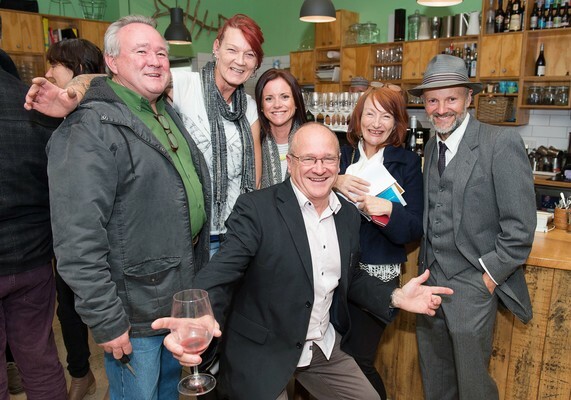 The first artists’ announcement was made during a well-supported sponsors event held at the Driftwood Cafe. The Driftwood Cafe is one of four Ocean Grove venues hosting the Winter Gigs along with Olive Pit Deli, Piping Hot Chicken Shop and Burger Grill and Maggie’s Bar. Musician and co-organiser Tony Armstrong welcomed the sponsors who got to watch a film show of last year’s event. “We’ve had a great sponsors night. I’ve got to say the support of the local community in Ocean Grove, across the Bellarine and Geelong is outstanding. It’s so good to see,” he said. More names will be added in the run up to the tickets sales opening early June. Last year the event sold out. In previous years artists have included saxophone player Eddie Manion from Bruce Springsteen’s E Street Band, Anthony D’Amato from New Jersey, Chris Wilson and Diesel, Rebecca Barnard, Marshal Okell and Mark Lang from Skipping Girl Vinegar. Light of Day Australia donates the funds it raises equally to the Shake It Up Foundation and the Light of Day Foundation.